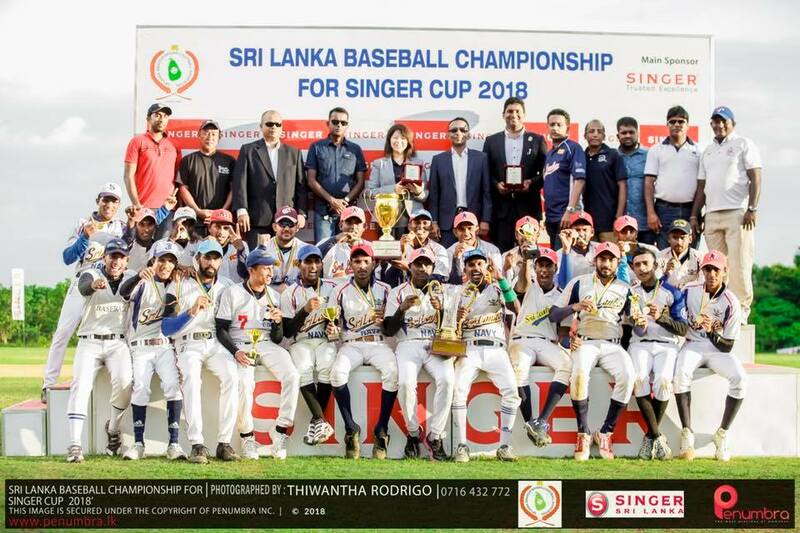 April 11, 2018 Sri lanka Army Baseball club & Sri Lanka Navy fought for the Supremacy of the finals of Sri Lanka Baseball Championship for SINGER cup 08th April 2018 at Baseball ground Diyagama. Both side played well & showed their talents. After finish of full quota of 9 innings Sri Lanka Army defeated Sri Lanka Navy 14/6 & won the Championship. Hiroko Yamada, a member at Large of World Baseball Federation and Director International Affairs of Baseball Federation of Japan arrived in the island to witness the ladies match and to see the ongoing development of the game in Sri Lanka.